I know a person who considers a cruise her happy place. She returns year after year to the same cruise, joyfully, knowing she will be treated to the perfect vacation of her dreams. Someone else goes regularly to Vegas, although I can’t imagine it as a happy place. Another couple I know go to Disney World each year for their personal happy place. A couple of friends go every year to a resort in the Pocono’s that reminds me of a luxurious overnight camp on steroids with color wars, games, and competitions. Some of us are lucky enough to have another homestead in our happy place. I have friends and acquaintances with places in Colorado, Oregon, Maine, and California. I even know of one other Texas person whose personal happy place is my own and she has a second residence there as well, traveling from San Antonio each year. Another person I met travels all the way from Singapore each year to a second home there. Cool blue Atlantic waters wash over the white beach, making the most glorious sound. We have the Gulf of Mexico and beaches near me outside of Houston that takes an hour’s drive to reach. Yet I travel hours and hours to get to my Margate beach. From the moment I drive over the Margate bridge, I smell the salty sea air and a sense of complete calm washes over me. In fact, this is one of my favorite of all smells, and I cannot fill my lungs enough with it while I am there. My last day was filled with giant intakes of breath during my last stroll on the beach. It is in close proximity to my city of birth, meaning that I have lots of connections to the past there, as well as lots of relatives and friends. And I got to see so many of them while there. It is the place where I spent my happiest moments as a youth. It is filled with all kinds of beach homes of various architecture styles, and you can spend days and days just observing all the different kind of porches. There aren’t a lot of porches connected to our main homes these days – Houston or otherwise, so this is a novelty that never wears off for me. 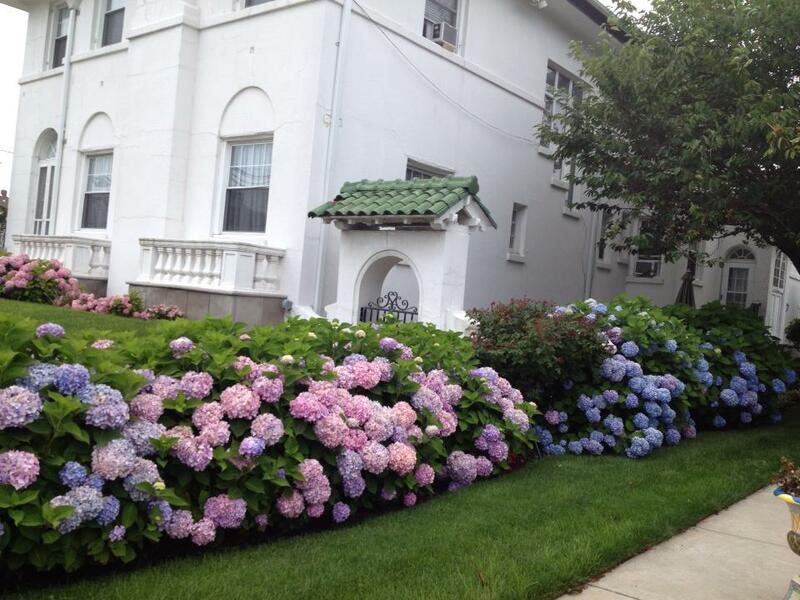 It is filled with beautiful flowers, most notably hydrangeas, one of my favorites. 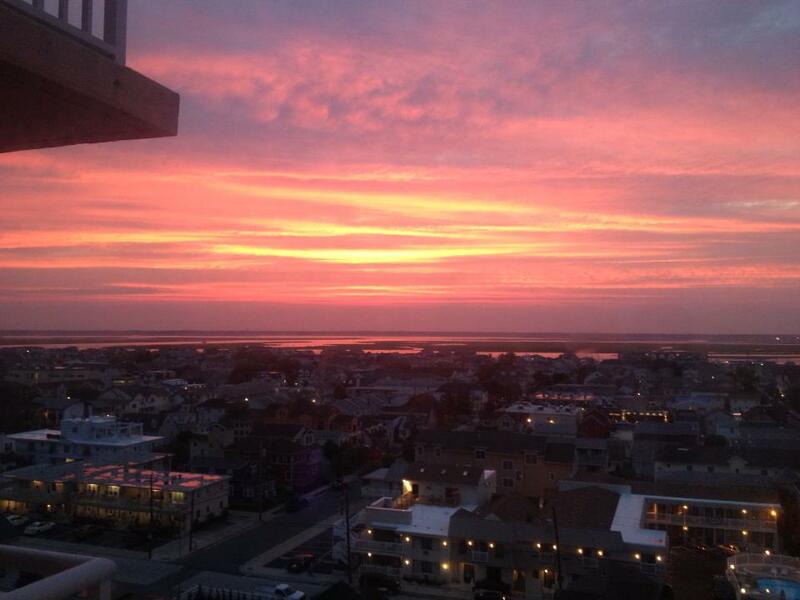 The sunsets are gorgeous and I have a great view of them from my condo. 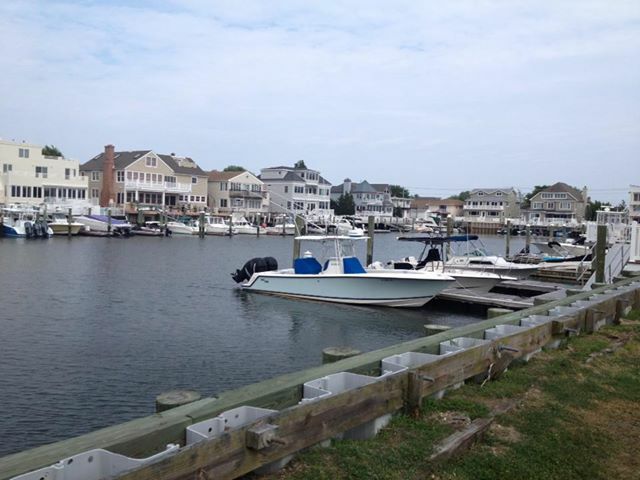 There is the best of both water-worlds there – a bay/marina area on one side of the town to watch boats and observe grand marina homes and ocean on the opposite side just blocks from each other. The ocean and beach are right outside my door. I have a deck where I can sip coffee and watch the waves crash in each early morning, or view from evening with just moonlight illuminating it. 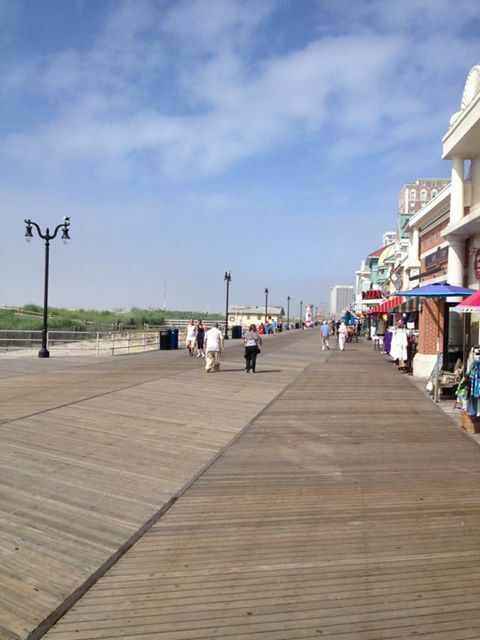 There’s lots of outdoors summer activity: from socializing on the beach, to biking all over the island, to doing the boardwalk from the next town up (Ventnor) into Atlantic City. 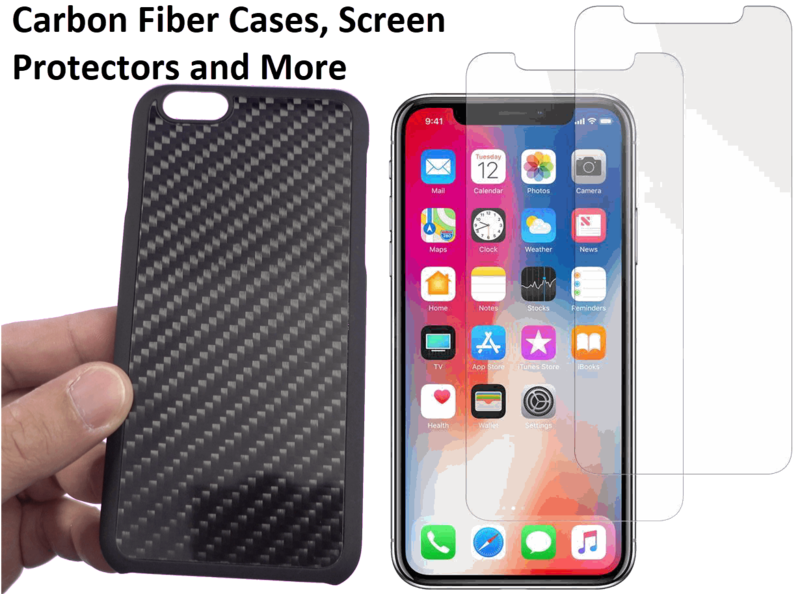 Whether walking, strolling, running, or biking, it is a busy place as there is an ocean breeze waiting for you while you engage in whatever activity. Most of the time there is a cool enough ocean breeze to make things pleasant and sometimes it makes it downright cool – IN THE SUMMER! 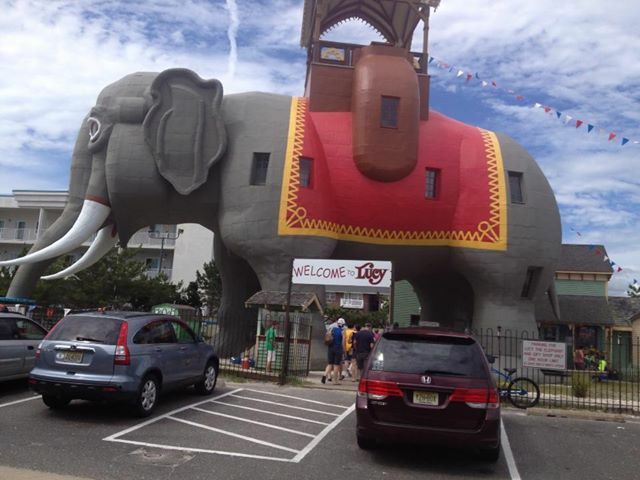 There is a national landmark – Lucy, the Elephant, a former boarding house in the late 1800’s. Lucy lives just a block away from my place. There are lots of ice-cream shops that sell soft serve “custard” ice-cream and water ice–the favorite treats of my youth, and they are open until very late and stay crowded all summer season as people do late socializing there. We don’t have this in Houston for the most part (the two Rita’s here are 45 minutes and one hour away from me) and they call sprinkles “Jimmies” there. Where else can you do that? There is great, fattening Philly-type food as well as great seafood and unbelievable breads and Italian food. 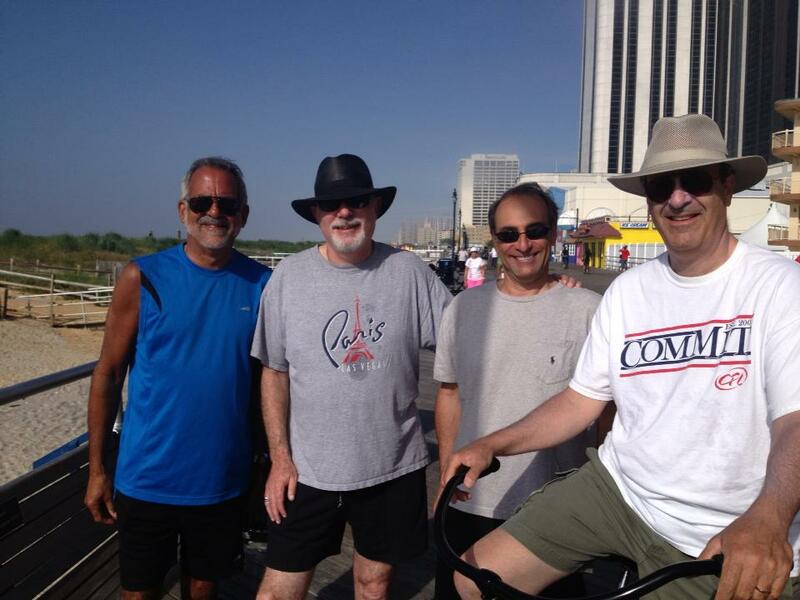 There are great concerts there, in Atlantic City at the casinos not far away. 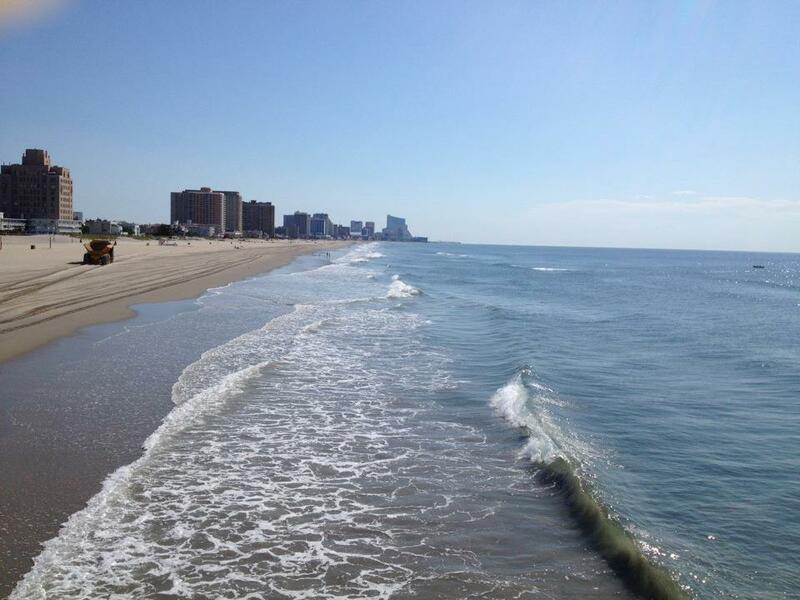 (Note that I never step into a casino, as that is not part of the fun for me unless I am dining with friends at one of the restaurants, or seeing a show) Here is a shot of Atlantic City from the boardwalk. 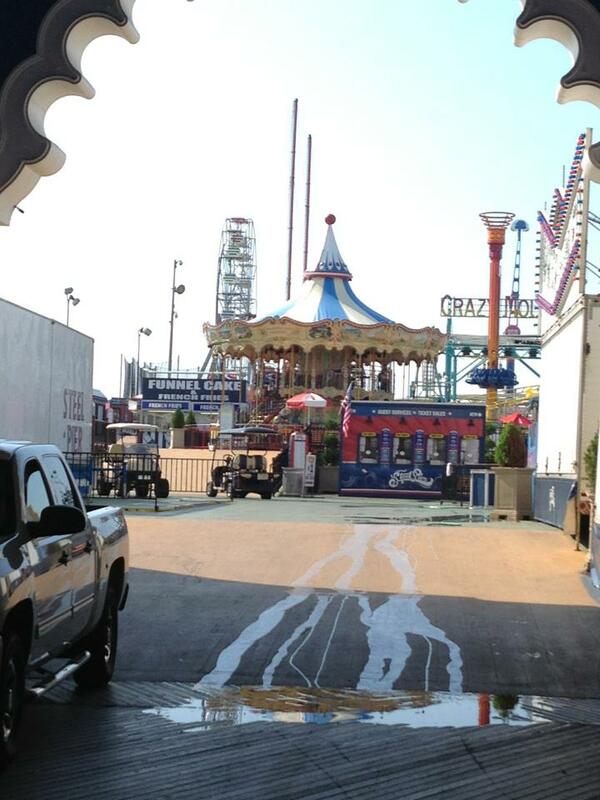 They have even rebuilt parts of the boardwalk (Steel Pier) to resemble the fun, family oriented place it was in my youth. There is cool, refreshing water to take long walks along, with a great view for miles and miles. In fact, I sometimes think I could walk to the ends of the earth there as I lose track of time while walking along the beach. I have a tiny, cozy place with a beachy motif that is so comforting to be in – my home away from home. 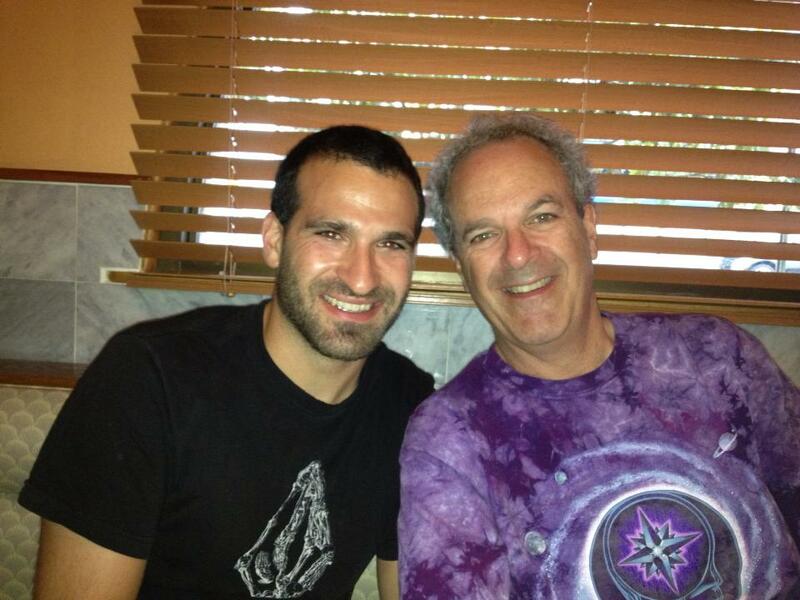 Our offspring – scattered all over – enjoy time there with us as much as we enjoy it with them. There are lots of reunions with old friends. There are many, many more reasons to love this simple place as the ultimate getaway that never fails to thrill me, but I will leave it with the above. I feel so fortunate to have spent a few weeks there, relaxing, catching up with old friends, making new friends, and just unwinding from a very wound-up type of stressful year. Our combined kids (except the West coast one) joined us too which made it so much more meaningful and fun. My own native Texans appreciate Margate as much as I do. So there you have it. After one of my busiest and most stressful years ever, I am relaxed and restored completely, down to my soul. Thank you Margate. Great blog. 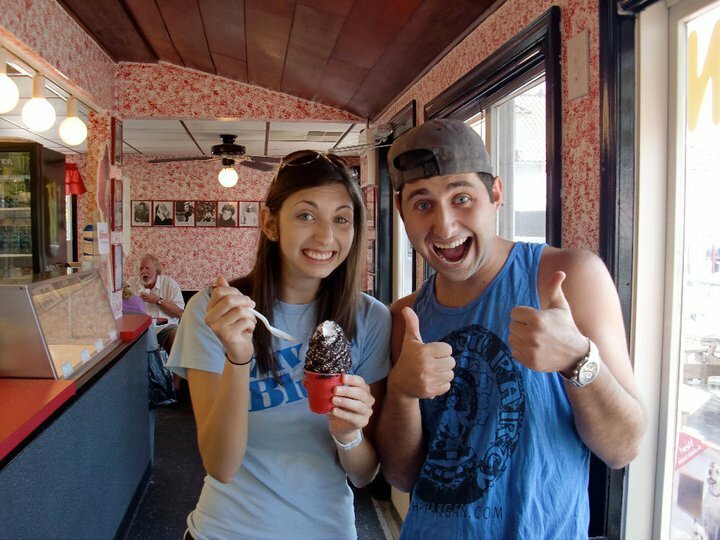 I especially love that you mentioned Rita’s Italian Ice, which is what they call for ones who did not grow up in Philly and Jersey. We just got a Rita’s a couple of weeks ago here in Central Ca. The Jersey Shore is where I too grew up. California beaches are beautiful, but it’s the memories of my youth that cannot take their place. 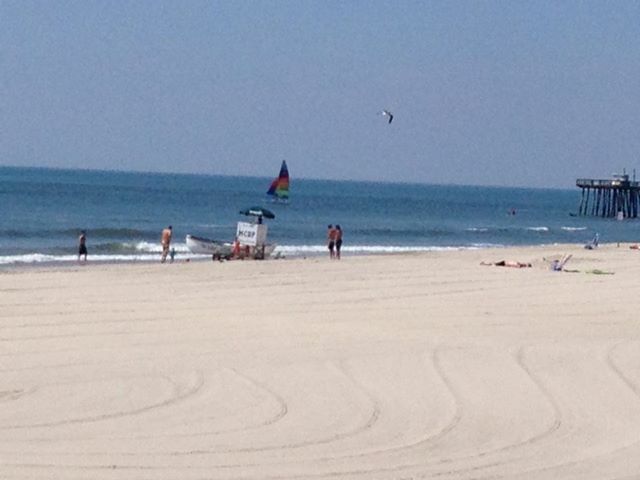 Oh, and the smell of the Jersey shore is like no other. I wish I could bottle it. Enjoy your time there over and over again. So very glad you now have the opportunity to be in your happy place. thx for the pictures and stories. I feel the same way about the island. I’ve had family vacations in Ventnor, right next to Margate on N. Fredericksburg Ave. My first childhood memories of the place began around 1970. Thanks for reading this older blog, don’t know how you found it but I am glad you visited. I walk or bike past Fredericksburg every day! Most people that love “your happy place”have had in their DNA—right??? 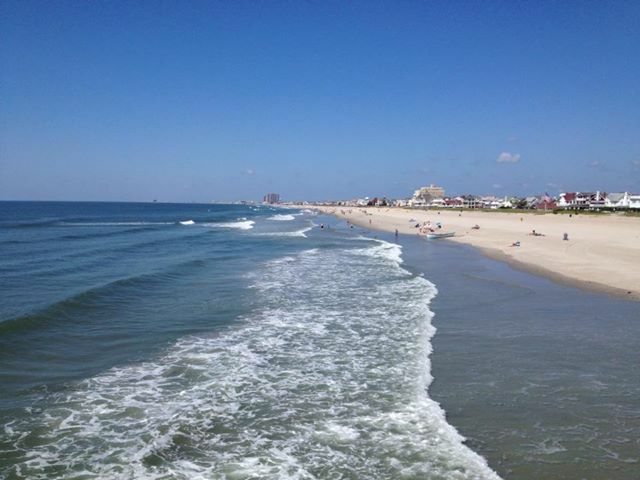 I love, because I spent my childhood there, met my husband on AC beach!!! AS did my parents and my sister!!! HAPPY TIMES TO ALL!!!!!!!!!! 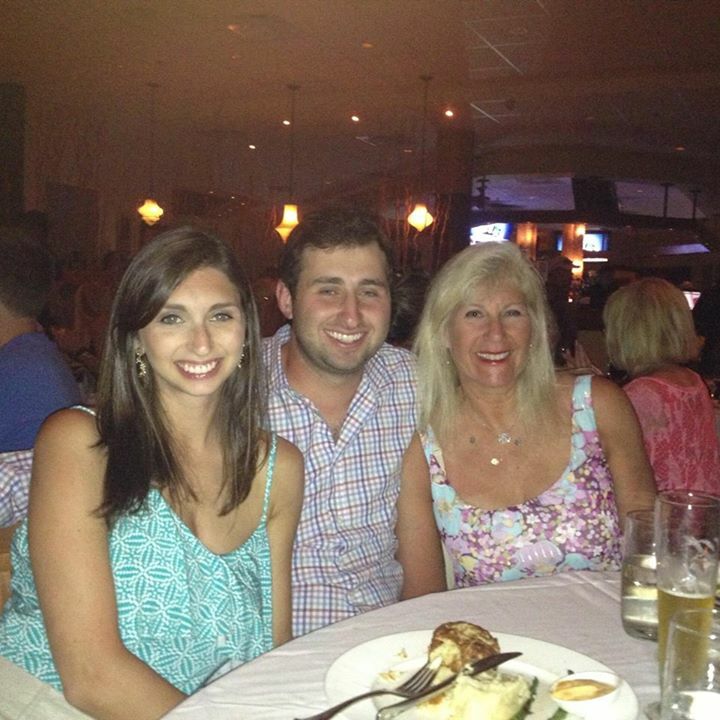 Thanks for sharing your memory Fran! It is a special place where memories live on. I so enjoyed reading your Blog and the time spent with you in Margate! See you next July. Welcome back. 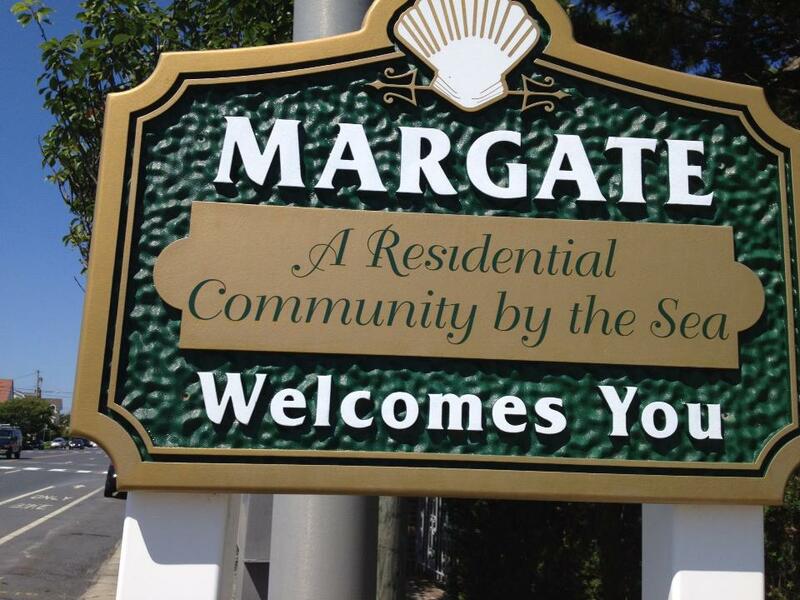 Thrilled to hear that your time in Margate was wonderful! Love the photos. 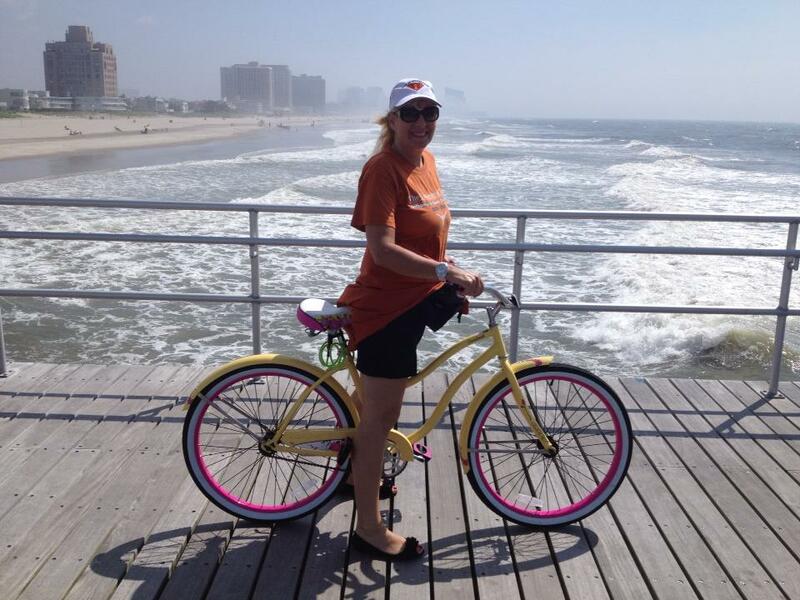 I agree Liz – love my time on my bike, and especially there with the Ocean Breeze! I bet Arizona is your happy place though!